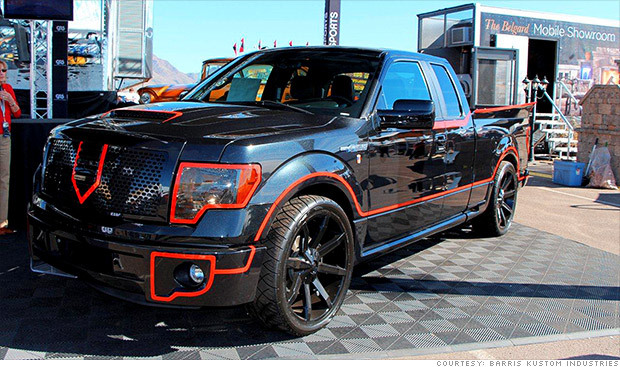 BRIGHTON, Mich. - If you're a Batman fan, this new redesigned Ford is one that you're going to love. The Ford F-150 gets a Batman makeover for the 2013 Comic-Con convention in San Diego this week, and while it isn't called the Batmobile 2.0, it has been proudly dubbed the 'Crime Fighter'. about this Ford F-150 is delicate. The original Batmobile was also a Ford, as it was actually a modified 1955 Lincoln. Due to time and money constraints, the designers of the original Batmobile thought it would be easier to modify an existing car as opposed to creating a new one. 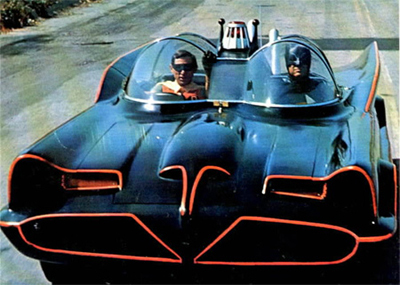 The Batmobile used in the 1960s TV series recently sold at an auction in Scottsdale, AZ for $4.6 million. The Ford F-150 is a great vehicle with or without the Batman modifications. If you'd like to take a look at all the specifications of this built Ford tough pickup, check out our 2013 Ford F-150 Brochure. If you have any questions or would just like to take it for a test drive, stop by our New Hudson Area Ford Dealership. We can help you with Car Loans or get you a great deal with the help of Ford F-150 Rebates! Brighton Ford is located at 8240 Grand River Ave. just north of I-96 in Brighton. We are a family owned and operated business that strives for customer satisfaction. For more information on Brighton Ford visit BrightonFord.com or give us a call at (800) 836-8206.